More info, tickets for our 2019 home season, and our away game schedule will be coming soon to our 2019 season page! Posted on February 4, 2019 by Ann Arbor Derby Dimes. 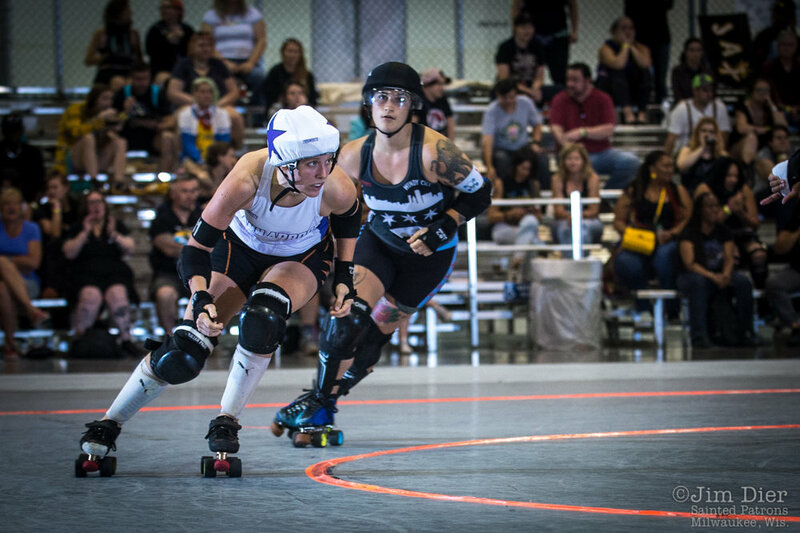 The 2018 Ann Arbor Roller Derby season is coming to a close and this was definitely one for the record books. We’ve had winning seasons for all three of our teams, some major victories and a few history making matchups! Before the season is over, we wanted to take a few minutes to revel in our glory and relive some of those moments that made us all proud to be from Ann Arbor. 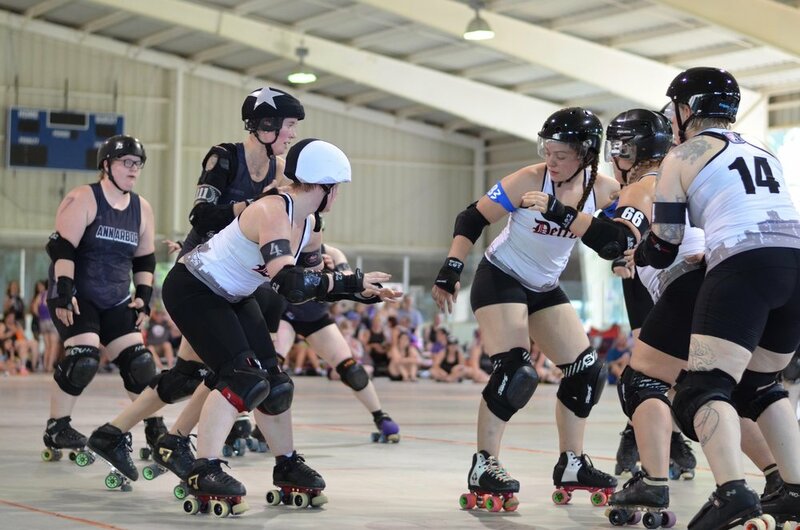 While two of our teams are enjoying their very well-deserved off season, the Vigilantes are prepping for another Mitten Kittens Tournament the weekend of October 4th-6th, where they are currently ranked 4th in the D1 bracket. The Vigis have had a stellar season so far with 6 wins and just one tough loss against the Motor City Disassembly Line. 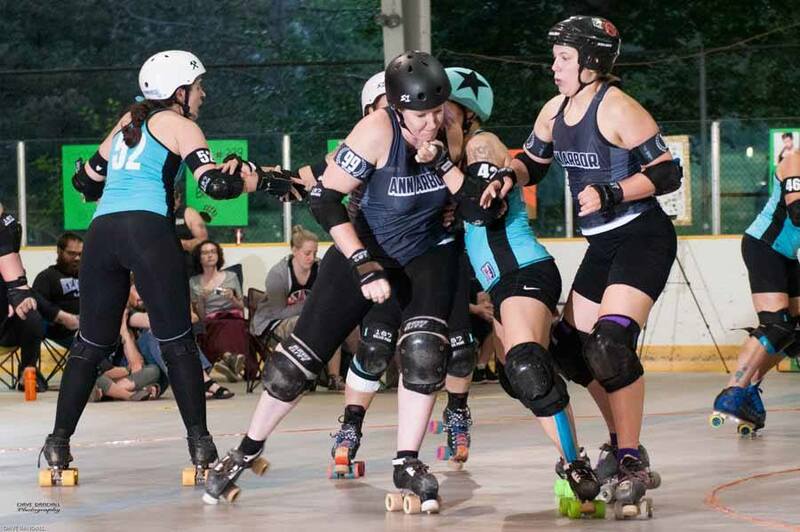 Despite the loss of a few longtime players after the 2017 season, the Vigis have stepped up their game and proven that although they are the Ann Arbor “C” team, they’re still ready to take on teams of all levels. 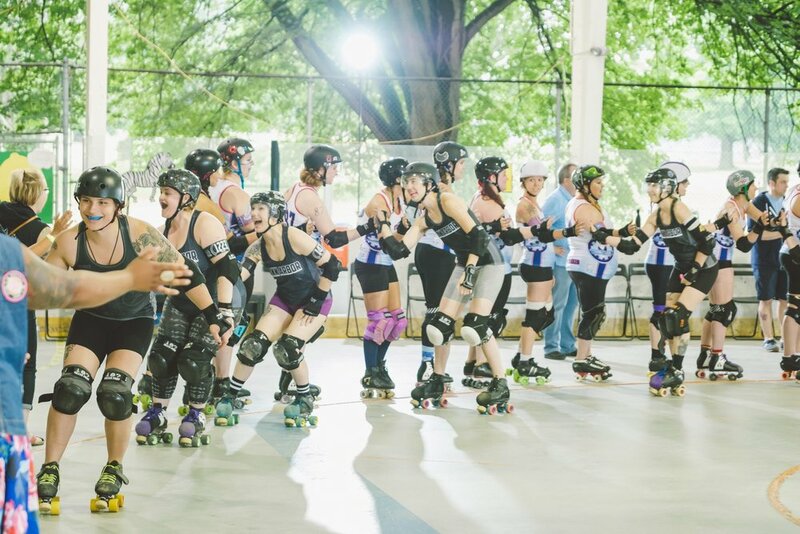 The Bruisers finished off their season last weekend with a win over Flint City, capping off with a very successful 6-4 record. 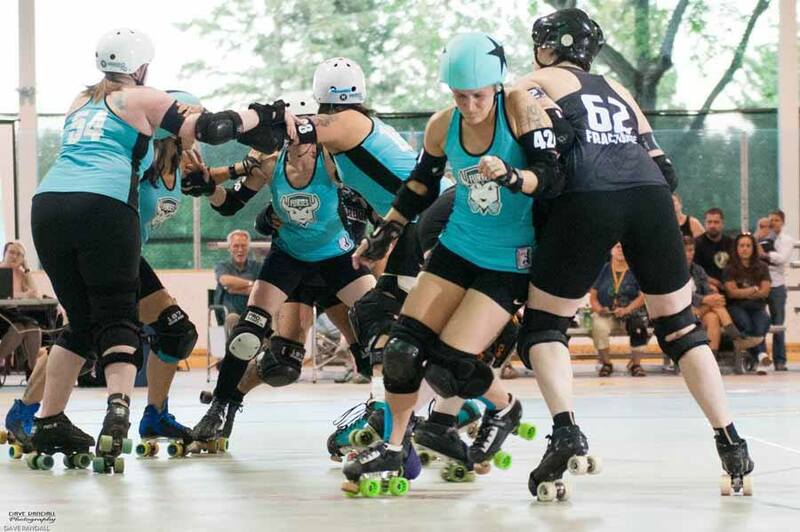 The Bruisers are definitely turning heads after playing many high-level teams including Gotham and Arch Rival, as well as attending both ECDX and Udder Chaos, showing that every single team that comes from Ann Arbor is full of heart, dedication, and skills for days. If we’re talking about record setting seasons, we’re talking about our Brawlstars. 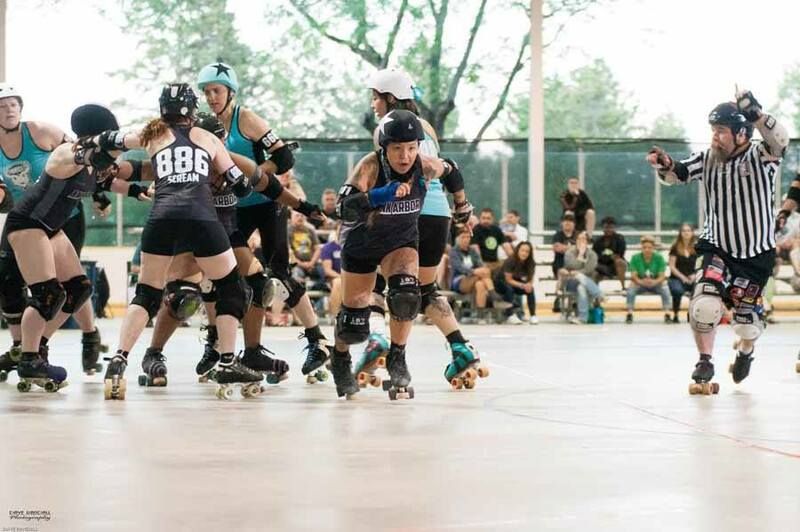 Not only did they make Michigan roller derby history by beating Detroit’s Allstars for the first time, but they also had their first win at WFTDA playoffs against Windy City finishing off their season at 8-4.
Who are we kidding? “Rest” is not a thing we do! We’ll see you in 2019 faster, stronger, and ready to keep playing our game every chance we get. Posted on September 27, 2018 by Jackie Zimmerman. 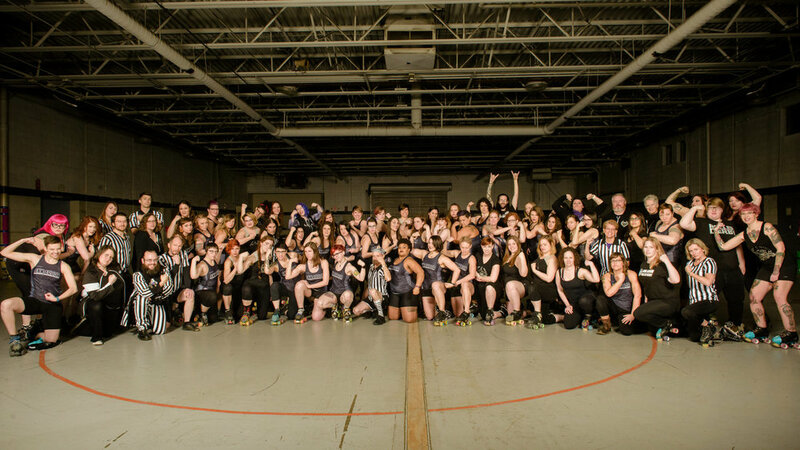 Huge thanks to the photographers who capture the action at our home bouts! We are thankful to get to hold the memories of derby. Want to see more? 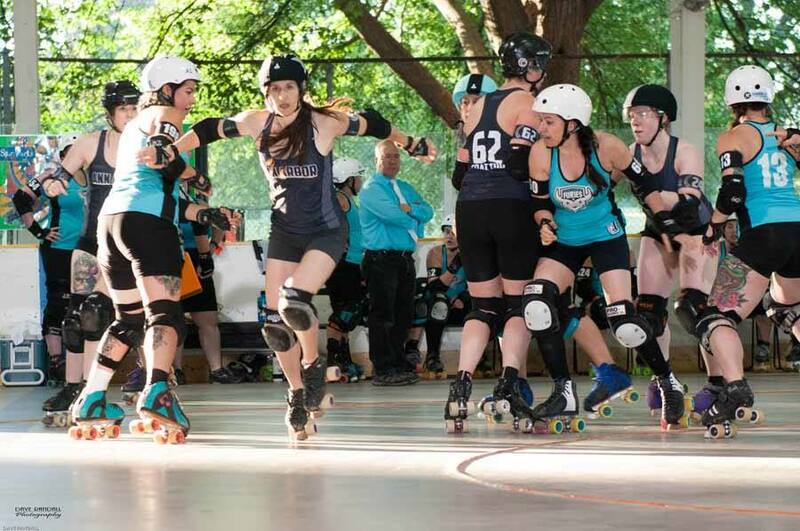 We've got two more exciting games happening on Saturday July 28th! Posted on July 26, 2018 by Megan E. B. Foldenauer, PhD, CMI. The Full 2018 Schedule is Here with the First Away Bout Tomorrow! Dates! Opponents! Tournaments! Oh My! Posted on March 23, 2018 by Ann Arbor Derby Dimes.